Most players never think about how their balance, pressure, and connection to the ground effect the centeredness of contact. When you are having issues with centeredness of contact there are a few things to make sure you are aware of in the golf swing to help ensure solid contact. The following article will help illustrate one of most common flaws I see in my teaching. This is not meant for all players, but if you think you might have an issue with this aspect of your game we should check it individually instead of just assuming you have this type of issue in your swing. Solidness on contact is sometimes determined by the angle the shaft is returned to the ball at impact. 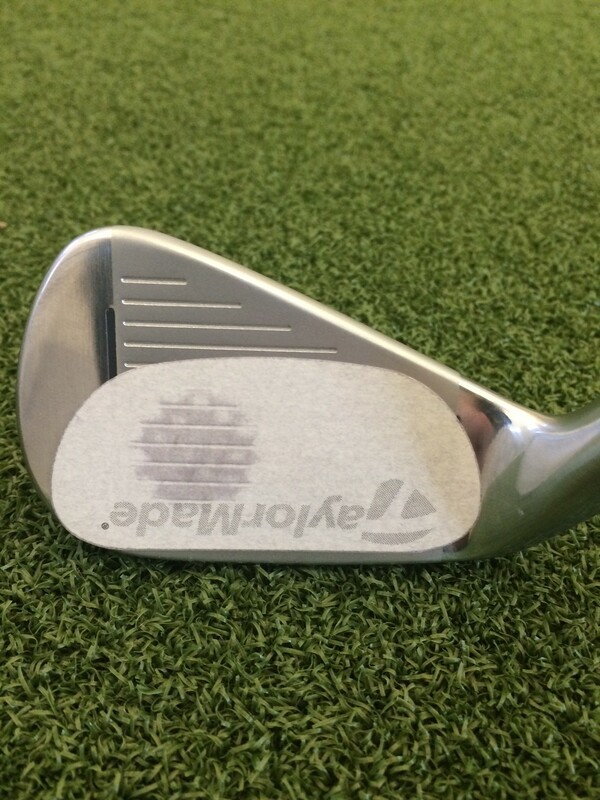 All of your clubs have a lie angle (The angle formed between the center of the shaft and the ground, a 7 irons is around 63 to 61 degrees) and are designed to return back to impact within a certain range so that the sole of the club lies flat at impact, not address. As a side note common misunderstanding is that the club should sit perfectly soled out at address. 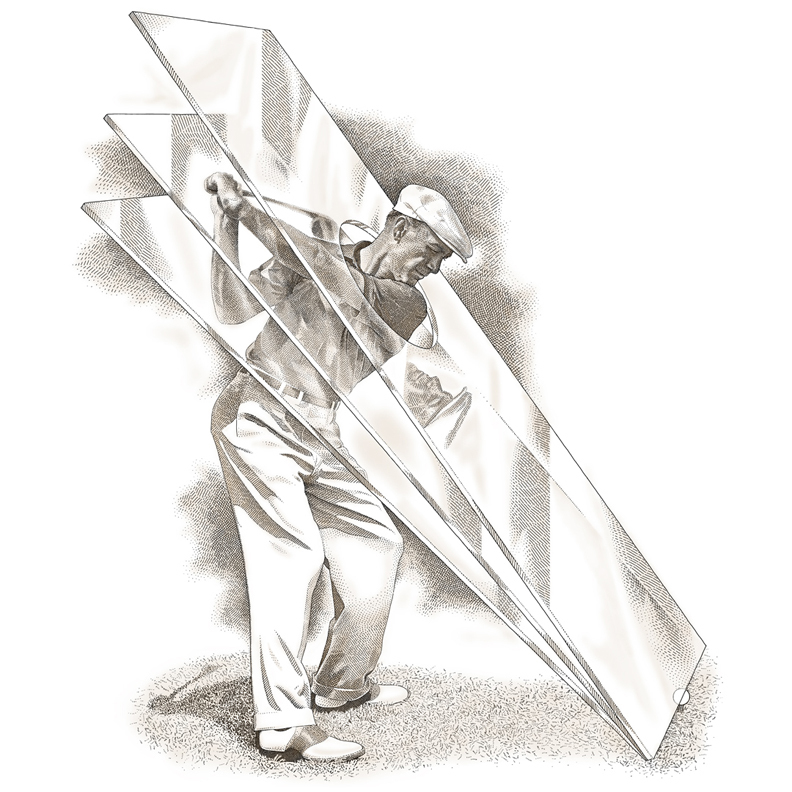 The angle we swing the club at is call the Vertical Swing Plane and this is reminiscent of the Ben Hogan plane of glass image. The only way to have the entire club swing on plane from waist high to waist high would be to have good connection to the group, balance, correct weight shift, and proper hand position at impact. I notice players of all levels struggle with weight shift and balance through impact due to several different factors such as proper downswing sequence, players trying to gain speed in the downswing, and improper setup positions. 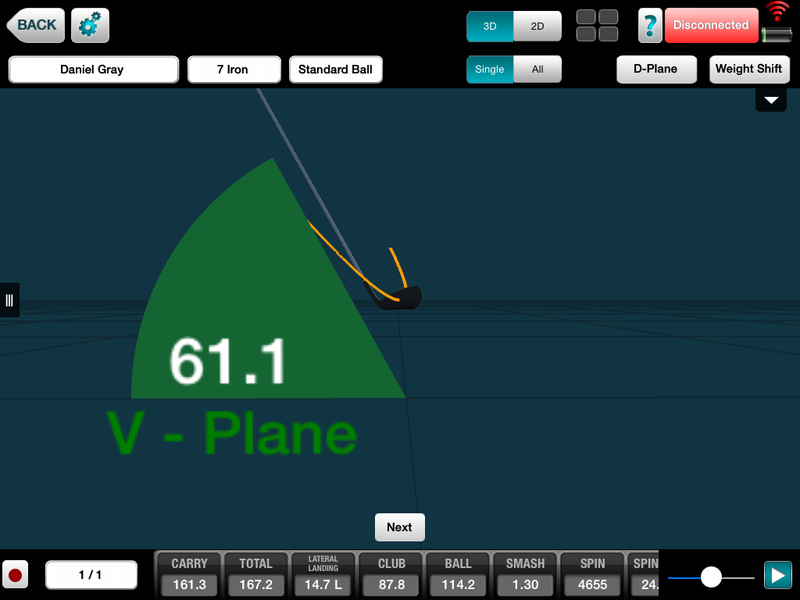 The following chart will help explain how improper connection to the ground and vertical swing plane can effect solidness of contact. If you have never seen a pressure distribution chart let me give you a brief explanation of what you are looking at to help better illustrate the importance of this chart. 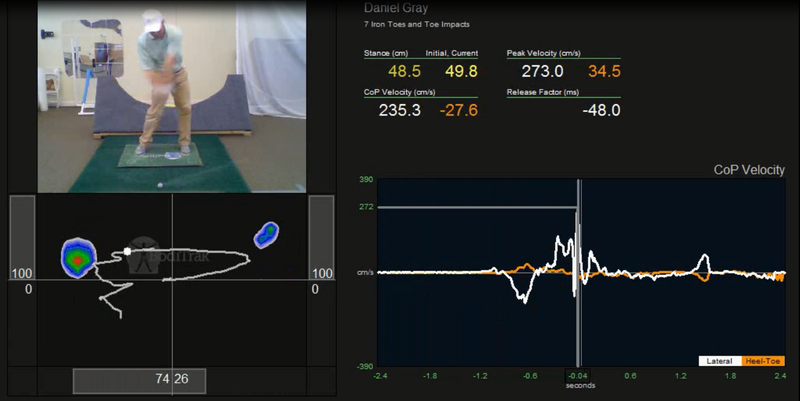 This is an image of impact and as you can see there is 79% of the total body weight is shifted into the lead foot. The diagram is opposite the picture above to so that the feet line up as if you were looking down at the ball. The toes and the heels are labeled to help you see where the weight has shifted throughout my swing. Notice that the line starts in the middle of the chart it moves to the right and then back to the lead foot while staying in the middle of the heel and toe. This would be a fairly good weight shift and a balanced position at impact. Also the chart above that you can see that the vertical swing plane was inside the range we were looking for and that impact was solid. 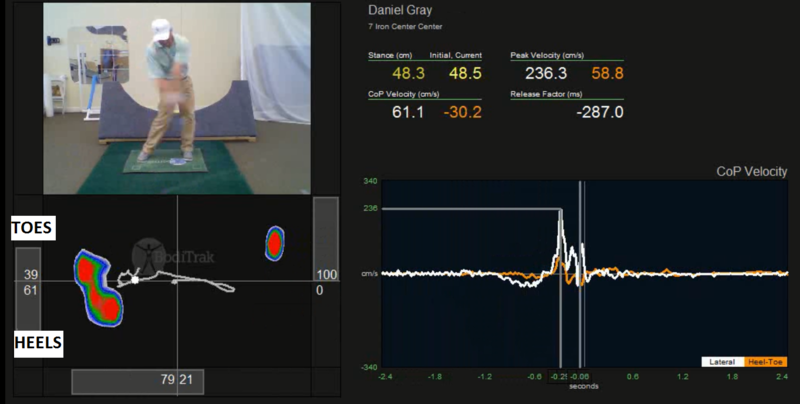 Notice how different the vertical swing plane and the weight distribution is from the center contact images. 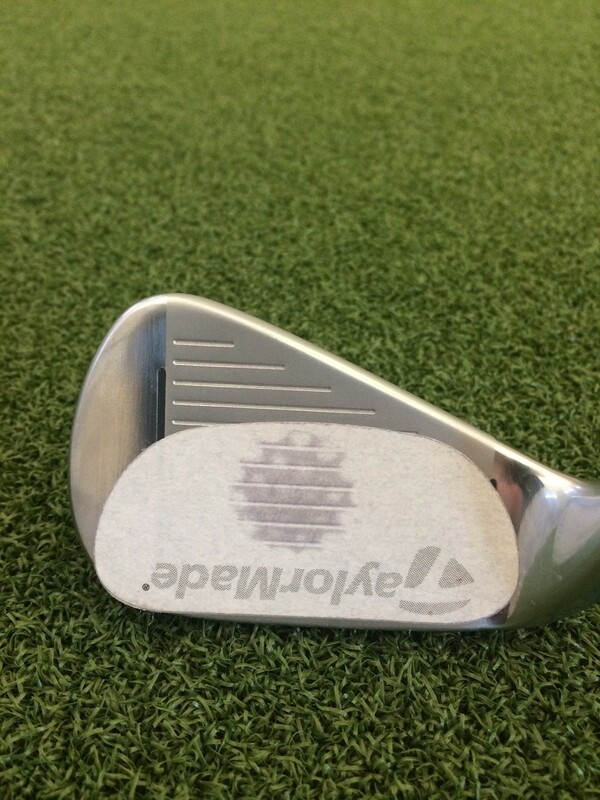 Notice that when the weight is transferred from toe to toe like you see in the above image the shaft stands up taller at impact and that is when the grip swing outside the ideal vertical swing plane and the head will do just the opposite and swing inside or under the vertical swing plane. This is why most toe impact occur and players have toe impact. The best way to correct this type of contact issue is to work on weight distribution awareness and down swing sequence to make sure that you are starting the downswing with the proper weight shift and hand position in the early downswing. Using the BodiTrak, video analysis, and FlightScope helps understand your weight shift and seeing how the hands work in the downswing is a effective way to get the club on the correct vertical swing plane, get the correct weight distribution thorough impact, and solidness of contact. Every player is different and requires different methods of improvement so if you feel as though this could be an issue in your game lets get together and work on a plan to correct your impacts.